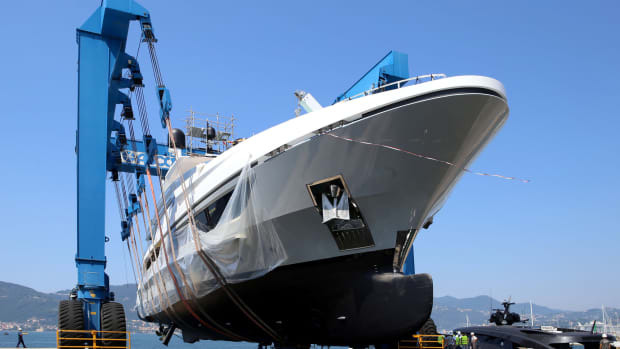 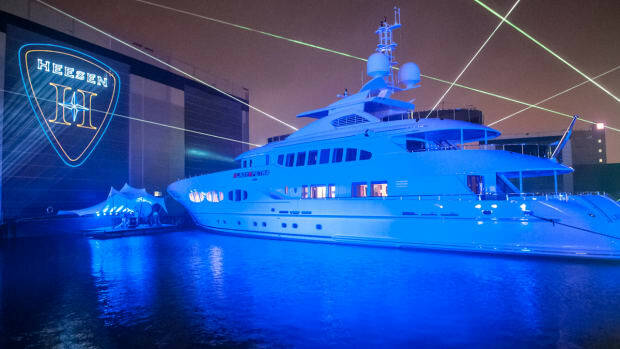 At a private ceremony in La Spezia, Italy, workers, craftsmen and managers saw the launch of Baglietto’s newest 46-meter (150-foot) displacement motoryacht. 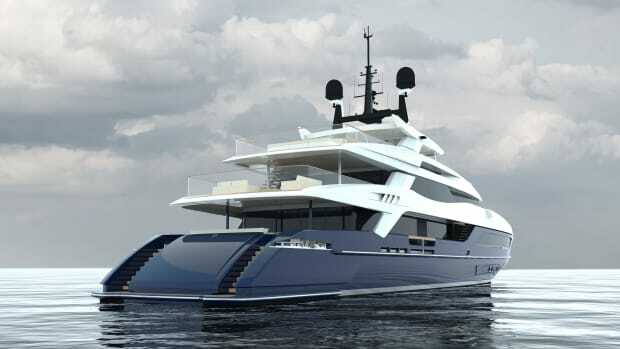 Francesco Paszkowski conceived the exterior profile and the interior, which was a collaborative effort with Margherita Casprini. 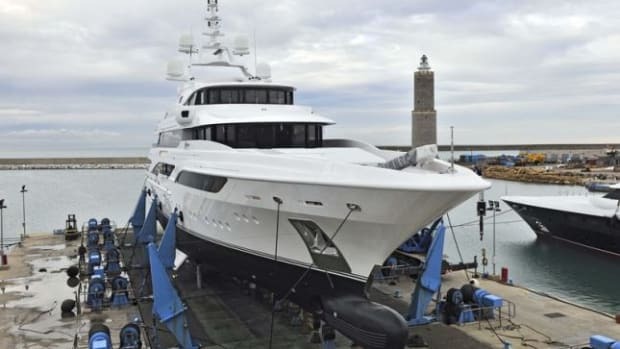 First presented last year, the displacement series will eventually comprise models from 43 meters to 62 meters (141 to 203 feet), all constructed with steel and aluminum. 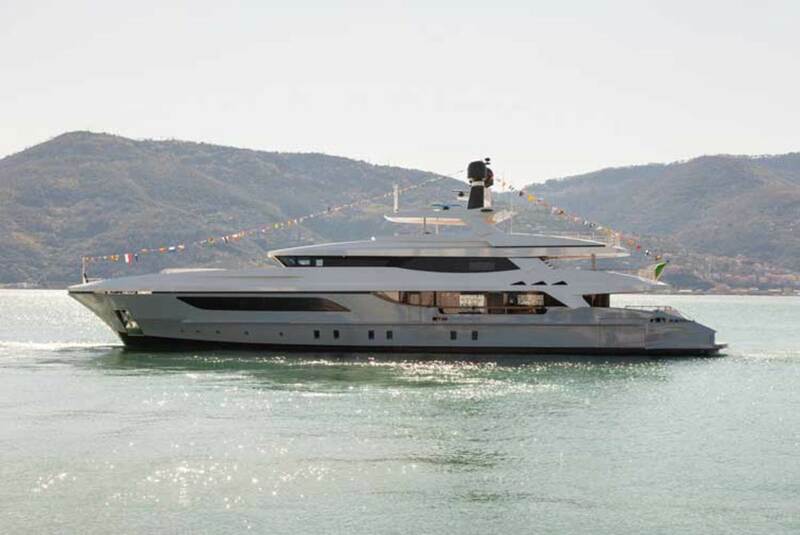 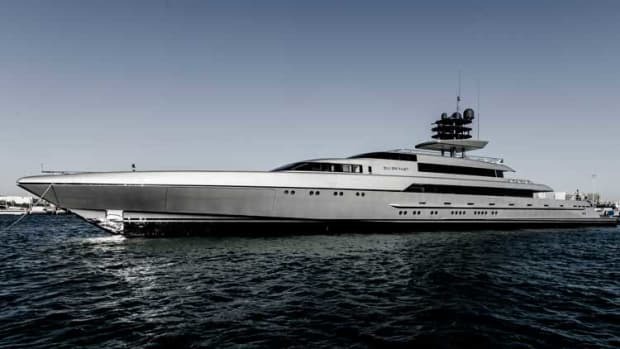 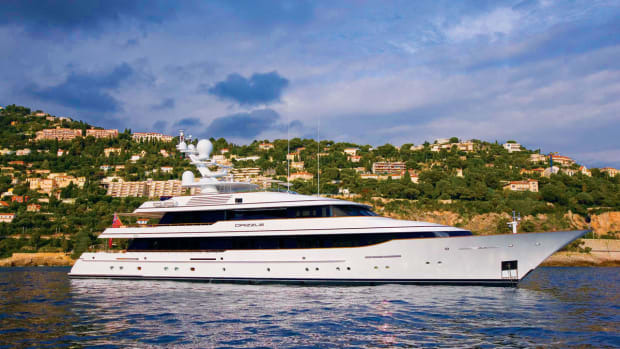 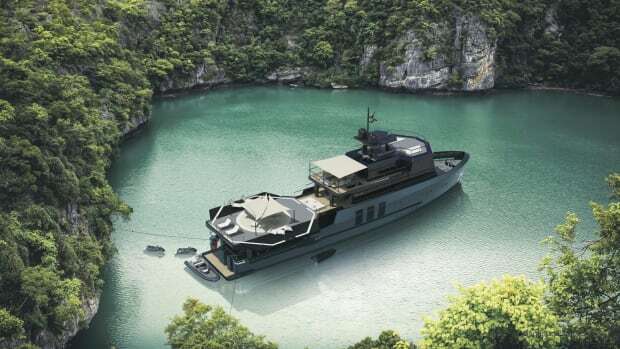 Delivery of hull number one to her European owner is expected after sea trials. 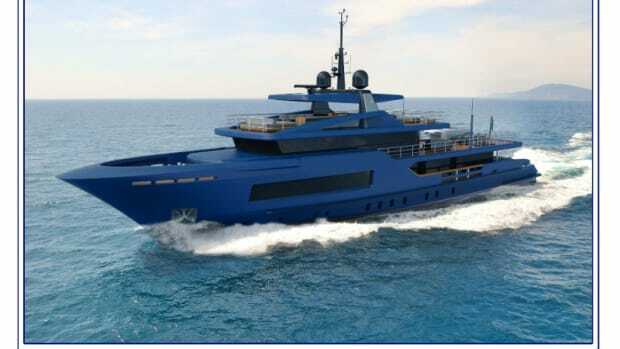 Baglietto also confirms its first 43-meter fast displacement series model is set to launch in July, to represent the builder throughout the international boat show season. 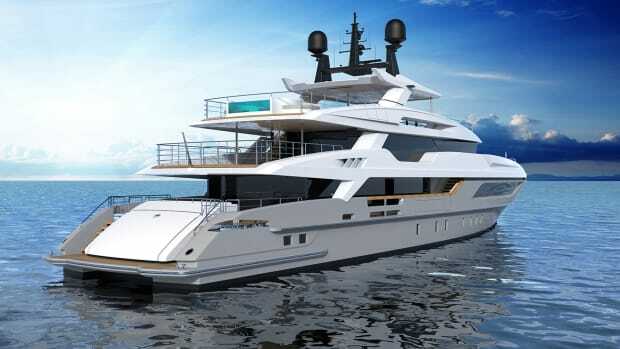 A 46-meter fast displacement will soon follow, and an entry-level 36-meter (118-foot) will round out the series.